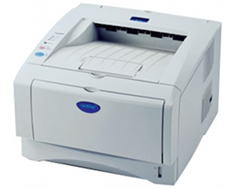 This compact workgroup laser printer is small but full of features. 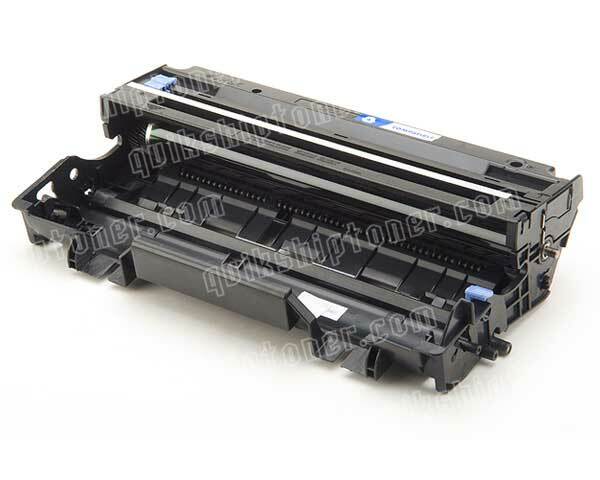 Whereas many units in this product category are stripped down printers, the Brother HL-5170DN delivers in areas that they do not. Built in duplexing, a manageable size, and good paper handling abilities are all part of the package. Not only does this device feature good handling and speed, but Ethernet functionality as well which allows for an entire small office to interface with the unit, potentially increasing the device's product value exponentially. The built in automatic duplexor makes two sided printing easier than ever, with no user interaction required, which is perfect for saving both time and money, while reducing paper consumption by as much as half. Print resolution is very high and runs at 2400 x 600 dots per inch, which is Brother's HQ1200 style that makes imagery look sharp, even though the Brother HL-5170DN is exclusively a monochrome unit. Brother also guarantees software optimization for compatibility with a broad spectrum of computing environments. Paper handling comes in the form of a 250 sheet standard document tray and a 50 sheet multipurpose tray which users can use for additional paper storage, or to load special media without having to unload standard supplies. Included memory is also good for a device of this caliber, and runs at 32 MBs which can then be expanded up to 160 MBs for optimal performance when dealing with complex print jobs. Along with network functionality, both Parallel and USB 2.0 ports are incorporated for single PC hosing. Envelopes, transparencies, labels, plain paper, bond paper, recycled paper, and other special paper types are all compatible with the unit, along with standard types of letter A size, legal, executive, A4, A5, B5, B6, and extra letter. The special types must be used in the 50 sheet tray only. Though the Brother HL-5170DN's print speed is not horrible, Brother is a brand that is, unfortunately, known for underperforming their advertised speeds, meaning that the stated rate of 21 pages per minute could easily be far slower in actuality, though the first page out time of less than 10 seconds is fairly good. The device's RISC processor is a 133 MHz Fujitsu SPARCline which is mediocre at best, and will not perform well under heavy conditions. There is also only a single 100 pin DIMM expansion slot, which means expansion must be done in a single stroke. Though a 4 color LED is present on the unit, signifying the status of toner, drum, and paper, there are only two buttons: go and job cancel. 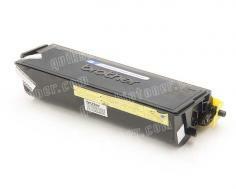 Review it: "Brother HL-5170DN "
Toner is very affordable for the Brother HL-5170DN, as it often is for Brother printers. Standard cartridges are available with 3,000 page yields, but the high yield toner cartridges holding 6,500 page yields are a much better value, and should almost always be considered the correct purchase, though the in box cartridge is of the smaller size. A drum unit is also required and can print up to 20,000 pages at 5% coverage.